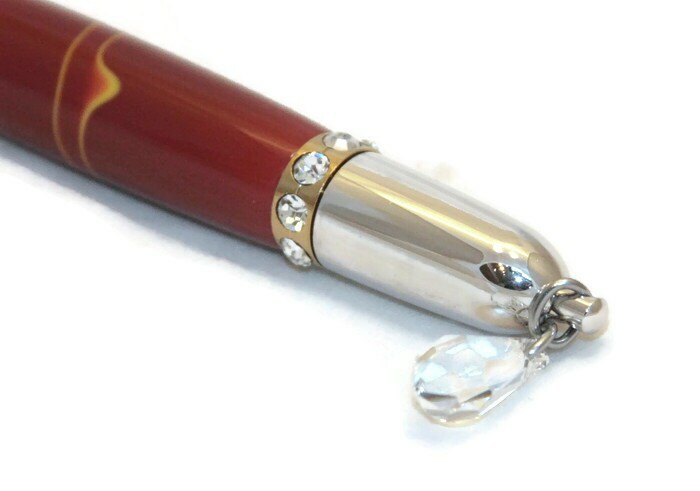 Swarovski Crystal Charm Handmade Ballpoint Pen. 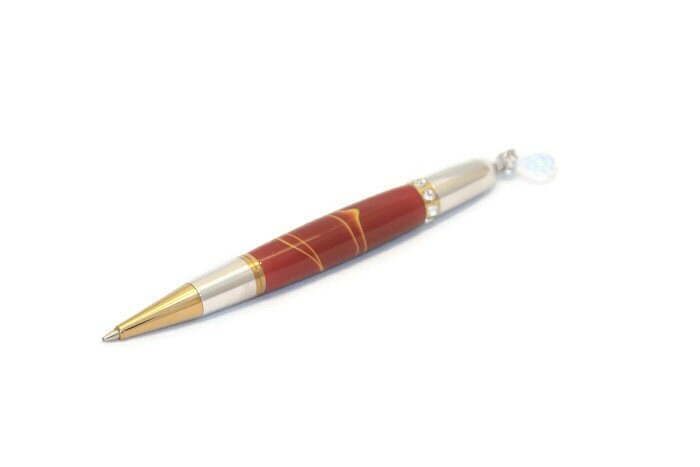 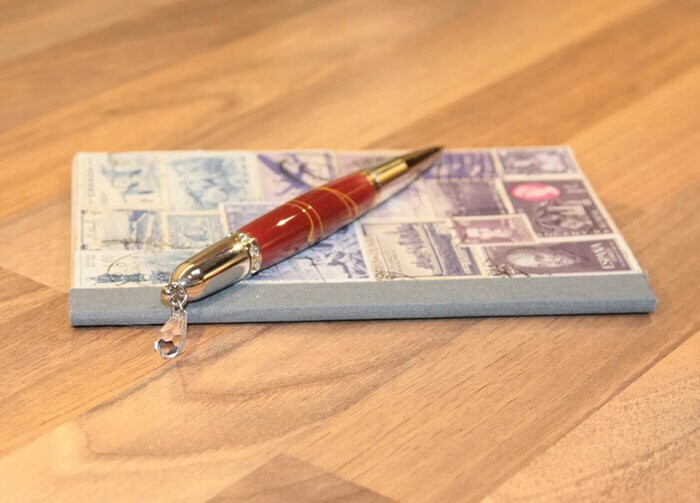 - This elegant handmade pen features a genuine Swarovski Crystal Charm. 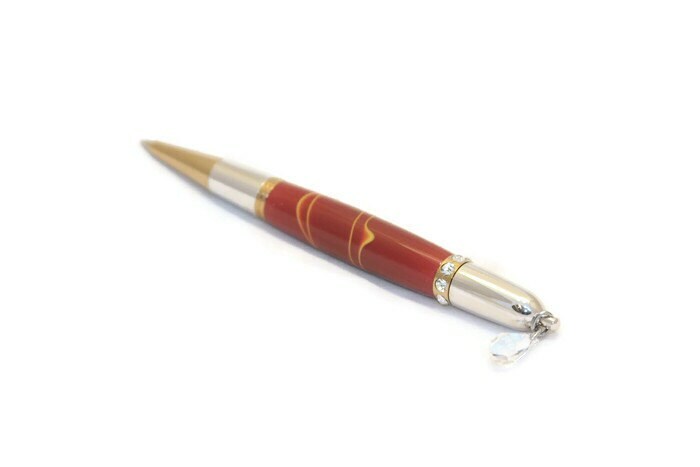 - This pen features a high quality, smooth twist action. 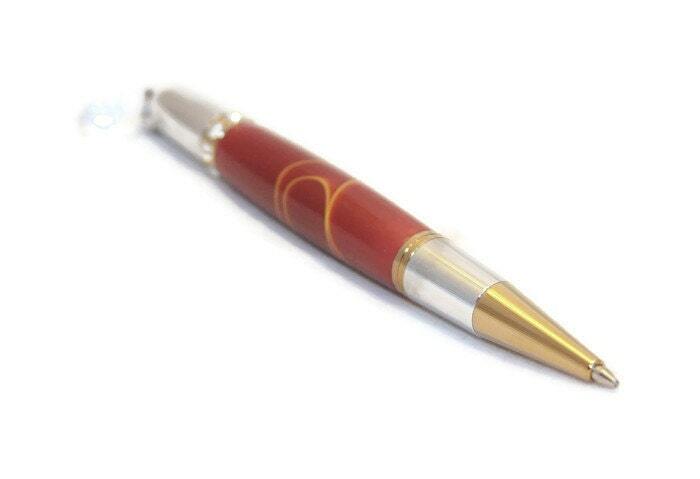 - The pen takes a readily available 'Parker' style refill and comes with one in black ink.